This demonstration you can easily try for yourself. 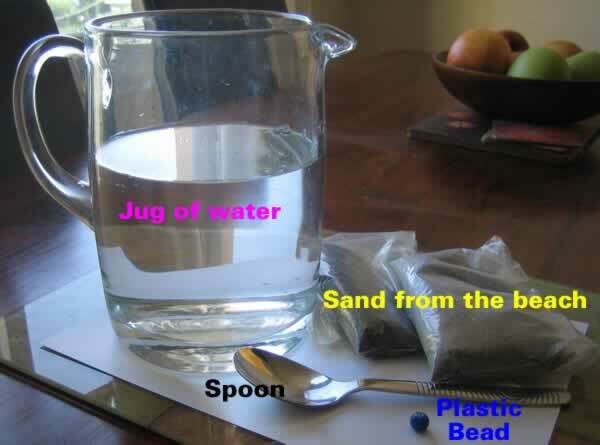 1) Add a spoonful of the sand to the jug of water. 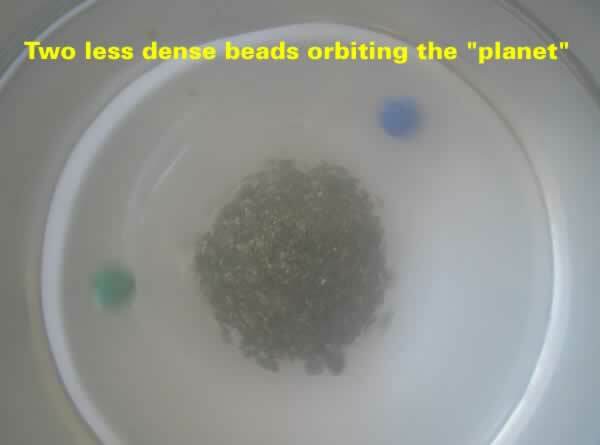 2) Drop the plastic bead into the jug of water. 3) Stir vigorously in a circular motion. 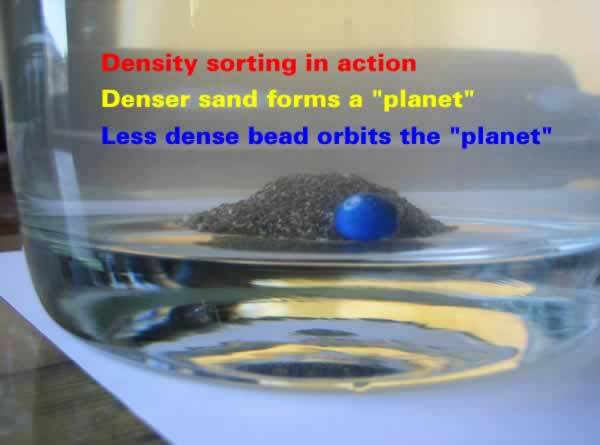 The Forced Vortex sorts the contents of the jug by density. The distance of an object from the centre in a Forced Vortex is determined by both its density and the speed of circulation of the Vortex. 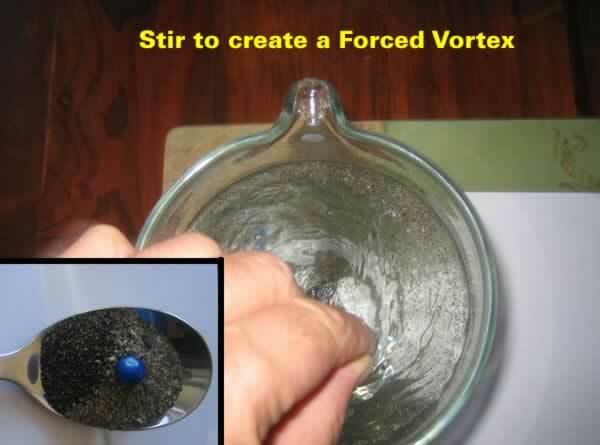 The Forced Vortex slowly dissipates unless a force sustains the circular motion. The Forced Vortex is contained within very distinct boundaries. i.e. The theoretical “universal aether” is not required to support a Forced Vortex. Gallery | This entry was posted in Astrophysics, Gravity, Science, Vortices. Bookmark the permalink.